Filled with pasion and hope, milaros - or little miracles - are sacred objects one keeps in a special place or offers to a loved one. Often shaped corazones (hearts), these colorful offerings are made of embossed and painted tin foil, and are an ode to both the inventiveness of Mexican craftspeople and the spiritual vitality of Mexico. In a tribute to the art of speed juggling popular in Mexico, an artist manages to juggle seven pins at breakneck speeds. The pins whirl so fast they become a metallic blur just like the propellers of an airplane. 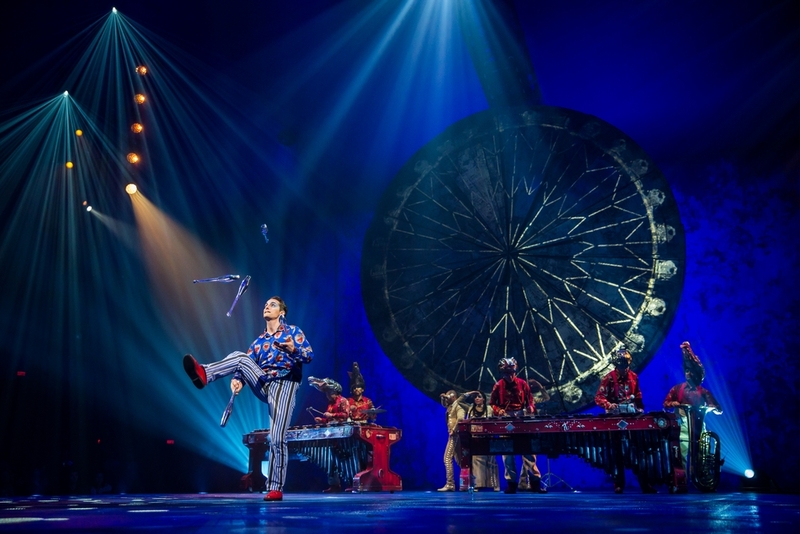 The juggler engages in a dialogue with the marimba, a musical instrument typical of the Veracruz region in Eastern Mexico. As soon as our resident fool is gone, the musicians spin up a jingle... quite literally... as the spotlight turns to a man in a horrible pair of pants (and a shirt to match) in the middle of the audience. This is Rudolf Janecek and he’s quickly juggling three silver clubs... matching the pace of the jingle the band is playing on the marimba. 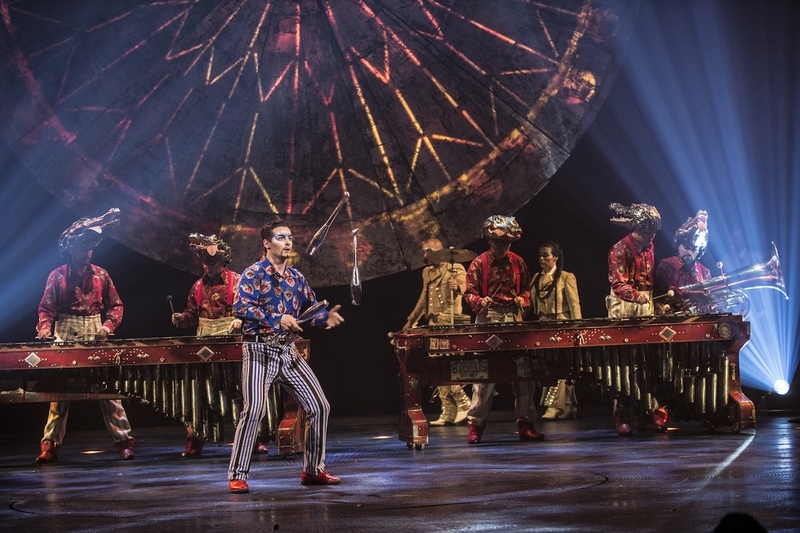 (The marimba, for the uninitiated, is a percussion instrument consisting of a set of wooden bars struck with mallets to produce musical tones. As such it is a type of idiophone, but with a more resonant and lower-pitched tessitura, or range, than a xylophone.) 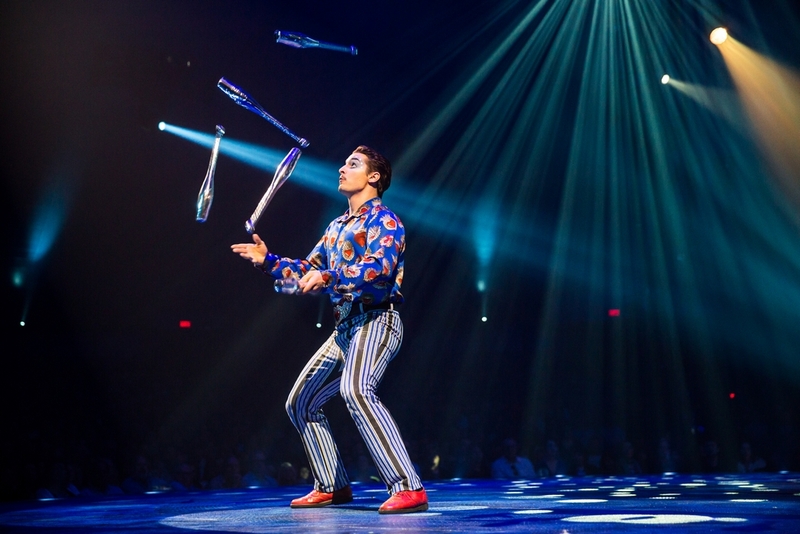 Then he tosses one forward, jumps on stage to catch it, and begins a highly energetic and fast-paced solo juggling routine to a song that, sadly, isn’t on the soundtrack. 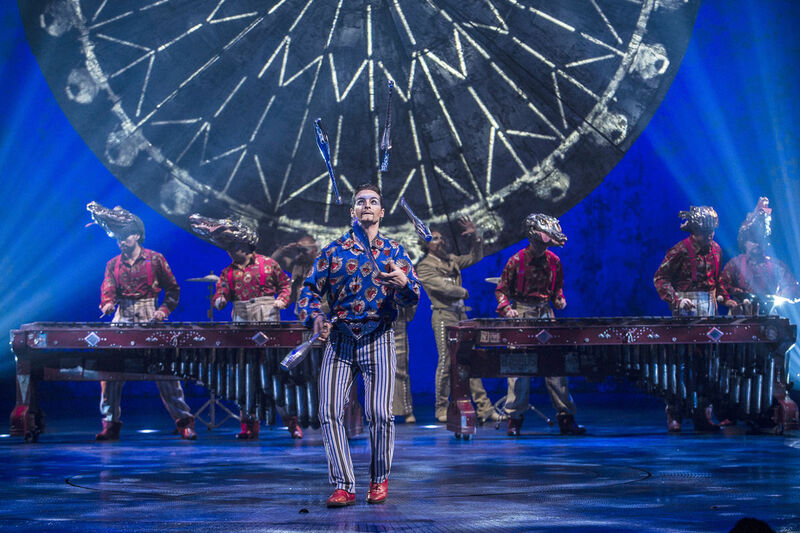 I say sadly because, although it’s just the musicians on marimbas, they do get a little help from the brass section, the deep and loud “brrrraaaaaaaaaaaam!” from the tuba is simply fabulous and I must have it.